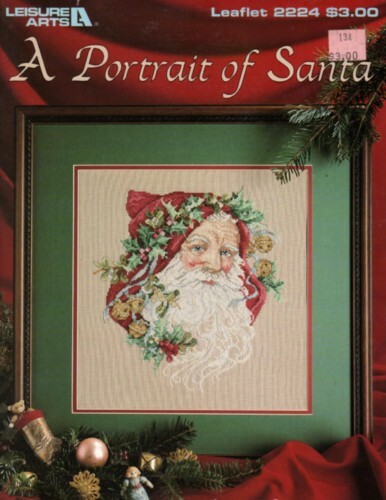 Leisure Arts A Portrait of Santa Cross Stitch Pattern leaflet. Donna Vermillion Giampa. Stitch count 134w x 153h. Price tag on cover.